In-es.artdesign’s Ex. 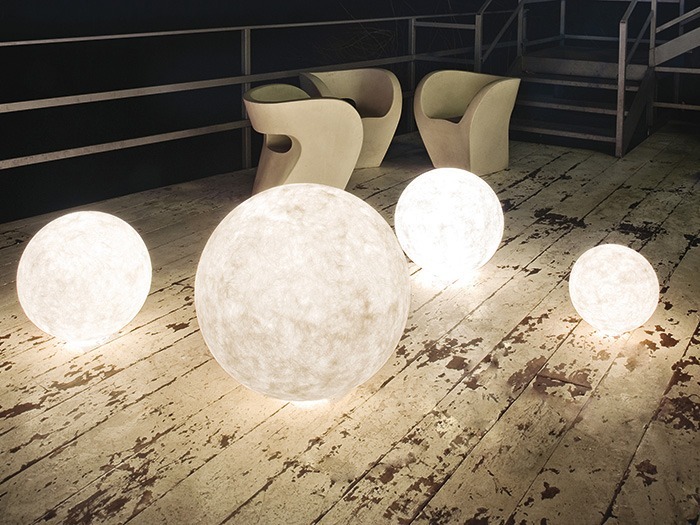 Moon, designed to create an outdoor dreamlike and romantic atmosphere, is inspired by the moon. This light reproduces its luminescent and irregular surface in all its shades and texture, through the Nebulite material (mix of resin and fibers). Soon to be available in a wireless LED version.